BELL, ALEXANDER GRAHAM, teacher of the deaf, inventor, and scientist; b. 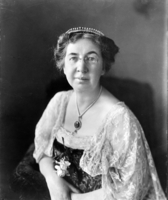 3 March 1847 in Edinburgh, Scotland, second son of Alexander Melville Bell and Eliza Grace Symonds; m. 11 July 1877 Mabel Gardiner Hubbard in Cambridge, Mass., and they had two sons and two daughters; d. 2 Aug. 1922 near Baddeck, N.S. Alexander Bell owed much to his paternal grandfather, Alexander, who had moved away from Fifeshire, where several generations of the family had toiled as shoemakers, to blaze a career in the emerging art and science of elocution. The grandfather’s love of acting led him to develop his skills in speech, which resulted in his move to Dundee in 1826 to teach elocution full-time. He soon turned his interest to speech impediments, particularly stammering, and began work on a textbook. It was during a journey to Edinburgh by his wife, to deliver the manuscript, that an acquaintance discovered her affair, which culminated in divorce. These events prompted him in 1834 to move with his youngest son, Melville, to London, where a year later he published The practical elocutionist. It used comma-like symbols to indicate word groupings and emphasis, forming the basis of a system to visualize speech and the underpinning of a vocation that would concern three generations of Bells. Not long after his father remarried, Melville, who had worked long hours as a draper’s assistant in London, was sent to Newfoundland in 1838 to improve his health. He lived with a family friend in St John’s and found work as a clerk in a shipping house. In addition to helping other clerks and shopmen get shorter work hours and organizing acting classes and plays, he began treating stammerers, using his father’s methods. His success won him public accolades before his departure for England in 1842. He joined his father and embarked on original investigations into the physiology of the vocal organs. During a visit to Edinburgh the following year, he was introduced to Eliza Symonds, an English miniature painter ten years his senior. In a memoir written for his grandchildren he recalled that “it was not exactly a case of love at first sight, but it was a case of struck at first sight.” Melville was drawn to her, largely for her cultivated mind but in part, he admitted, out of sympathy, which was heightened by her partial deafness. Their long and loving relationship would be a force in Aleck Bell’s life. Married in 1844, they moved to Edinburgh. Melville’s first published work, The art of reading, appeared there in 1845 and he used it in his lectures on elocution. He also read publicly from the “ungodly” works of Charles Dickens, a practice that led to a request from his church to cease. Bell changed his church instead. His prosperity, from the growing interest in his lectures, enabled the couple to move to a spacious flat on South Charlotte Street, where Aleck was born. Early instruction was provided by both parents. His interest in biology came from his father, who encouraged his passion for collecting natural specimens; his mother passed on her love of music. He apparently possessed a keen faculty to play by ear, which he claimed he lost when he learned to read music. Lessons from the distinguished pianist Benoît-Auguste Bertini inspired him to want to become a professional musician. Although he later lost this desire, the experience was not wasted: “I am inclined to think . . . that my early passion for music had a good deal to do in preparing me for the scientific study of sound,” he would later write in his autobiography. Eliza Bell imbued her three sons with her deep piety, which influenced Aleck “at least until I reached years of discretion,” he recalled. The family was also steeped in liberalism. Aleck’s grandfather despised dogma, disdained inherited titles, and believed passionately in merit and the ability of education to raise the worth of an individual. Aleck began more formal schooling in 1857 when he was sent to Hamilton Place Academy; by his own admission, he was a poor student and lacked ambition. A brooding loner, he confessed to a propensity to dream, no doubt stimulated by the love of reading instilled in him by his father and grandfather. He found many idyllic spots for reverie after his parents bought Milton Cottage, near Edinburgh, in 1858. On his birthday that year he took his middle name, inspired by the surname of Alexander Graham, a former student of Melville’s in Newfoundland who visited the family and impressed young Aleck. Dreaming, rambles at Milton Cottage, and botanical collecting fuelled Aleck’s curiosity, and his desire to invent. He devised his first practical contrivance later in 1858. He and a friend, Benjamin Herdman, had been playing around the Herdman flour mill when Ben’s father admonished them to do something useful. When Aleck asked what they could do, John Herdman held out some grain and told them they would be a big help if they could remove the husks. Aleck surprised him when he produced a process to do just that, based on wire brushes on a set of rotating paddles in an existing machine. At Milton Cottage the darkroom installed by Melville Bell sparked in Aleck a keen interest in the new art form of photography, which he would use to document his work later in life. A pivotal event in Bell’s life came at age 15, when he was sent to London to spend a year with his recently widowed grandfather. Bell credits him with sparking the zeal that would drive his life’s work. Grandfather Bell made Aleck ashamed of his gross ignorance of ordinary subjects of study and aroused in him, Bell recalled, “the ambition to remedy my defects of education by personal study.” The elder Bell also impressed upon him the singular importance of speech, which the grandfather viewed as the paramount characteristic of humankind: “Perhaps, in no higher respect has man been created in the image of his Maker.” Before Aleck left London, he and his father called on Charles Wheatstone, a leading scientist and telegraph researcher, to see his model of Wolfgang von Kempelen’s 18th-century “speaking machine.” The device inspired Aleck and his brother Melville James (Melly) to build their own version of a talking larynx. Edinburgh in Bell’s youth was dubbed the Athens of the North in recognition of its scientific, medical, and literary achievements, which had eclipsed those of London. The iron steamship, the breech-loading rifle, the pedal bicycle, and Joseph Lister’s techniques of antiseptic surgery were invented there, and its academies made it a Mecca for European scientists. The Bell house attracted many of the greats of the era, and Aleck met men such as Wheatstone, again, and noted phonetician Alexander John Ellis of London. At 16, however, Aleck longed to be on his own. He secured a position as a pupil-teacher of elocution and music at an academy in Elgin. After a year at the University of Edinburgh in 1864–65, he returned to Elgin and in 1866–67 he taught in Bath. During these years he continued his experiments in speech physiology to study, using dogs and cats, the pitch and formation of vowel sounds, which his father encouraged him to write up. Impressed with his report of March 1866, Alexander Ellis invited him to join the Philological Society in London though he was still a teenager. In 1867 tragedy struck the family, now in London, when Aleck’s younger brother, Edward Charles, died of tuberculosis. That same year his father published his landmark treatise, Visible speech: the science . . . of universal alphabetics . . . (London), and made Aleck his assistant, placing him in charge of his practice of teaching the deaf during his absences to promote his “visible speech,” universal alphabet, and system of phonetics. From 1868 to 1870 Aleck took courses in anatomy and physiology at University College in London, but he never completed his degree. In May 1868 his father had asked him to adapt the visible speech method to teach deaf children at a school in Kensington (London) while he and his brother made a lecture tour of North America. That August, en route to Chicago, they visited a Scottish friend, the Reverend Thomas Henderson, in Paris, Ont., where Melville fell in love with the countryside. His lecture in Boston, at the Lowell Institute, led the city’s school board to open a special day school for the deaf the following year, with Sarah Fuller as principal, to experiment with the new oral techniques of speech instruction. 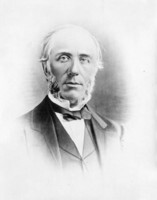 In the summer of 1869, with Melville Bell considering a return engagement in Boston, Henderson encouraged him to emigrate to Canada. The Bells considered the idea because of Melly’s illness, but put it off; Melly died of tuberculosis in May 1870. The family then took up Henderson’s invitation. At what would be one of their last dinners at home in London that summer, Ellis urged Aleck to examine a recent work by German physicist Hermann Ludwig Ferdinand von Helmholtz. After reading a French translation of On the sensations of tone, Bell exclaimed that it would soon be possible to “talk by telegraph.” The book also inspired him to learn more about electromagnetism and electricity – critical ingredients in his subsequent work on a speaking telegraph – but he would have to do so in the New World. Until his death Bell saw himself above all else as a teacher of the deaf. He regarded this work to be his greatest contribution to humanity, yet seldom got public recognition or sympathy for it. He was a leading proponent of the so-called oralist school, which held that the deaf could be taught to speak without the use of manual sign language, then the more widely used method. But his embrace of oral methods overshadowed his solid scientific understanding of deafness and propelled him to the centre of a controversy that would rage for much of the next half century. More zealous advocates of oralism embarked on a fanatical campaign to banish sign language. Although Bell disagreed with many of their professed reforms, including the formation of segregated boarding schools, his name remained associated with the oralist camp. From experiments at schools like Bell’s, the use of oral techniques progressed to the point where 40 per cent of deaf students were being taught without sign language by the turn of the century. Within two more decades the proportion doubled to 80 per cent. The concerns of representatives of the deaf, who were opposed to the exclusive use of the oral method, went unheard by educators. Oralism, however, met with reduced success as science conquered many of the infectious diseases that robbed children of their hearing after their language skills had developed and as the proportion of congenitally deaf students increased. One must remember that Bell’s enthusiasm for it was shaped in part by the positive role that oral techniques had with two close family members: his mother, who had made dramatic progress using her husband’s techniques, and later his wife. Bell had first met his future father-in-law on 8 April 1872. A prominent patent attorney, Gardiner Greene Hubbard was president of the Clarke Institution. His daughter Mabel had lost her hearing to scarlet fever in 1863 at the age of five. It was a fortunate contact for Bell on two counts. Hubbard asked Bell to tutor her and he had a fascination for electrical inventions, particularly anything related to the telegraph. At the same time Bell maintained his close relationship with his father in Brantford, whose diary of their correspondence and talks would become a crucial document in the defence of Aleck’s patents. It was, in fact, in a letter to his father of 11 Nov. 1872 that Aleck, never one to be intimidated by untested possibility, explored the extraordinary idea of a telegraph that would send numerous messages simultaneously along a single wire. Bell was inspired that fall by public lectures at the Massachusetts Institute of Technology, which set him first on a path to duplicate some of Helmholtz’s experiments with electrical current, and then in the direction of the telephone. As biographer Robert V. Bruce states, he had the talents, temperament, and background that prepared him for the task. He had thus arrived at the right time in the right place. Not only was Boston a burgeoning intellectual hub of engineering and science, but it was home to enterprising capitalists as well. Bell’s appointment as professor of vocal physiology and elocution at Boston University in early 1873 meant that he had to relegate his experimental work on the multiple telegraph to the night-time. That November he began tutoring Mabel Hubbard. The 26-year-old teacher was instantly smitten with the 15-year-old girl. Her father was taken by Bell’s telegraph idea. He recognized its potential and saw it as a means to unseat the much-loathed Western Union Telegraph Company from its monopoly position. In the spring of 1874, however, experiments with two new scientific devices turned Bell’s attention from telegraphy to acoustics. Both instruments could make speech visible. The phonautograph, invented in France by Leon Scott, could trace a sound from a vibrating membrane onto a piece of smoked glass drawn past its bristle. The other device was Karl Rudolf Kœnig’s manometric capsule, which analysed sound by means of the alterations produced in the shape of a flame by aerial vibrations. To provide a realistic membrane for his own experiments with the phonautograph, Bell obtained a dead man’s ear from an otologist. Before returning to Brantford for a visit, on 13 June he attended the second convention of articulation teachers of the deaf and dumb, in Worcester, Mass., and was elected president. Bell was neither the first nor the only one to conceive of the telephone, contrary to the myth perpetuated by the companies of the Bell system. None of the work that led to it could have progressed without Michael Faraday’s pioneering experiments on electromagnetism and induction of currents. Numerous scientists had suggested electrically induced speech. Charles Wheatstone experimented with sounding boards; Charles Grafton Page of Salem described a phenomenon he named galvanized music – the sound made when an electric circuit connected to a magnet was broken. Joseph Henry, a physicist at the College of New Jersey, wrote in 1846 of the possibility of contriving a keyboard-like device with a rubber glottis that would use electromagnets to utter words spoken at the end of a telegraph line. In France, Charles Bourseul reported in 1854 that flexible plates would vibrate in sympathy with varying air pressures, which could be used to make the plates open or close an electric circuit. Antonio Meucci of Italy worked with primitive variants of the telephone in the 1850s and Philipp Reis, a German schoolteacher who invented a transmitter that sent audible sounds along a telegraph wire, coined the term telephony in a lecture in 1861. 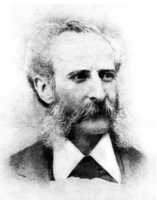 And then there was Elisha Gray, Bell’s most famous rival, who, allied with Western Union, began experimenting with the telegraphing of tones in 1866. It was Bell, however, who first satisfactorily solved the problem of turning sound into an electrical impulse at a transmitter and then converting the signal back to audible speech through a receiver. He wrote that the inspiration for his breakthrough came to him at his “dreaming place” behind his parent’s house at Tutelo Heights on 26 July 1874. He had just completed his phonautograph when, dramatically, the action of the eardrum membrane fused in his mind with his experiments on electrical induction, his memories of sound-activated piano wires, and his reading of Reis’s work on currents and of Bourseul’s on vibrating plates (in the 1872 translation of Jean-Baptiste-Alexandre Baille’s book on electricity). “It would be possible to transmit sounds of any sort if we could only occasion a variation in the intensity of the current exactly like that occurring in the density of air while a given sound is made,” he would later recall. He theorized that sound-vibrated, magnetized reeds could induce an undulating current which could be transmitted through a wire to an electromagnet that would convert the current into pulses which in turn would vibrate a diaphragm, thus reproducing the original sound. One difficulty was the weakness of the induced current, on account of the limited power of the vocal source. His full description of these ideas, in a letter to his father that November, would guarantee Bell the primacy of conception. Gardiner Hubbard was not so thrilled and felt that talking by wire could wait. A few days earlier he and Thomas Sanders, a leather merchant and father of one of Bell’s students, had signed an agreement with Bell to share equally in the profits from any of his telegraphic inventions in return for their financial support. Frustrated at the delay in getting a multiple telegraph, Hubbard delivered Bell a stark ultimatum that spring: Bell had to choose between Mabel and his work on the electrical transmission of speech. 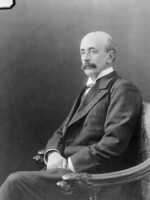 Bell’s determination on both counts, Western Union’s rejection of his multiple telegraph (because of Hubbard’s involvement), and important discoveries in telephony all contributed to winning Hubbard over. On 4 May Bell wrote to him about his idea for overcoming the weakness of induced currents by using a different principle of transmission: “I have read somewhere that the resistance offered by a wire . . . is affected by the tension of the wire. If this is so, a continuous current of electricity passed through a vibrating wire should meet with a varying resistance, and hence a pulsatory action should be induced in the current. . . . [Thus] the timbre of a sound could be transmitted . . . [and] the strength of the current can be increased . . . without destroying the relative intensities of the vibrations.” This letter established Bell’s priority in conceiving variable resistance, the final key to the telephone. Bell, however, had yet to bring the principles together. The first major breakthrough came during the evening of 2 June at Bell’s laboratory. He and Watson were in different rooms tuning the reeds of three sets of transmitters and receivers for an experiment with the multiple telegraph. One of Watson’s reeds, screwed down too tightly, was stuck to its electromagnet. With the transmitters off, Watson plucked it to free it. Instantaneously, Bell heard the twang of a vibrating reed in his receiver. Inadvertently they had successfully reproduced sound: using residual magnetism, the plucked reed had induced an undulating current, which activated the electromagnets in Bell’s room, making the reeds there vibrate audibly in the same way. Recognizing the significance of this phenomenon, an astounded Bell put his ear over one of his reeds. He heard the sound of Watson’s reed. Within days Watson had made primitive telephone sets using membrane diaphragms and undulatory currents. In September, Bell again visited Brantford, where he improved the telephones. At the suggestion of his parents’ doctor, he placed a thin iron disc on the parchment membrane and found the telephones became more audible. Back in Boston later that month, he started to develop patent specifications while Watson continued to work on the quality of the devices. Bell had already sold the United States rights to Hubbard and both men were keen to find a buyer for the foreign rights. Because a British patent was key, and could not be granted if a patent was pending in the United States, Bell and Hubbard held off applying for the American patent. 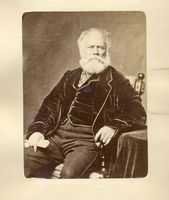 In early October, Bell returned to Brantford with the idea of offering the rights to Sir Hugh Allan*, the powerful financier who ran the Montreal Telegraph Company. But when he explained to his parents’ neighbour George Brown*, owner of the Toronto Globe, his need for an introduction to Allan, Brown made his own offer for the rights and promised to file for the British patent that February, during a trip to London. They reached an agreement in Toronto shortly after Christmas. Bell delivered his specifications to him in New York City on 25 Jan. 1876, the day before the publisher set sail. Brown and an associate completed their search for any infringing claims and filed Bell’s application on 16 February. Brown had, however, little real understanding of Bell’s work and, without cabling him, decided “to go no further in the business,” apparently doubting the practicality of Bell’s invention. Fortunately for Bell, Hubbard, who had grown impatient waiting for Brown’s confirmation of the British filing, submitted the United States patent application on 14 February. A rival application was filed by Elisha Gray just hours later. On 7 March Bell won his telephone patent, the second of the 30 issued to him between 1875 and 1922. Titled “Improvements in Telegraphy,” it was destined to become the single most lucrative patent ever awarded in the history of invention, and one of the most contested. The development of the telephone had coincided with the United States centennial. Bell took a booth at the Philadelphia Centennial International Exhibition, at the urging of Mabel, now his fiancée, and on 25 June 1876 he demonstrated a working version of his telephone. The new inventions and machines on display at the fair, which was billed as a monument to the “Progress of the Age,” were already remaking society. In addition to the telephone there were the typewriter, the electric light, packaged yeast, the internal combustion engine, and the mighty 700-ton Corliss steam engine. Yet the North American economy, in the midst of depression, gave little cause for celebration, and in both Canada and the United States, telecommunications remained dominated by the large telegraph companies. Bell returned to Canada later that summer and made the world’s first long-distance telephone call on 3 August, from Wallace Ellis’s general store in Mount Pleasant to Tutelo Heights, four miles away. He used the line of the Dominion Telegraph Company, which he connected to his father’s house with stove-pipe wire. His tests culminated in an eight-mile-long trial between Brantford and Paris on the 10th, when listeners in Robert White’s boot and shoe store heard voices, music, and singing come in over the wire from the Bell home. The test, which “afforded much pleasure and information to those present,” according to the Daily Expositor, attracted more attention to the inventor, including a report in Scientific American (New York). Aleck Bell married Mabel Hubbard on 11 July 1877 at her home in Cambridge. Throughout their lives she would remain, in the words of her biographer, Bell’s “silent partner.” After their honeymoon, including some time in Brantford, they went to England for an extended trip, during which Bell demonstrated his telephone to Queen Victoria and sought to interest British capitalists. Two days before his wedding, the Bell Telephone Company of Boston had been incorporated as a trusteeship by Bell, Watson, Gardiner Hubbard, and Thomas Sanders. The next day Bell assigned 75 per cent of his Canadian rights to his father and the remainder to Charles Williams, his equipment maker. Melville Bell appointed his friend Thomas Henderson as his son’s agent in Ontario. They licensed Hugh Cossart Baker Jr, a Hamilton street railway promoter, to lease telephones in Ontario. 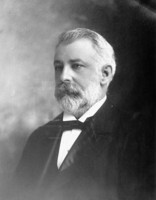 He organized the first public demonstration of a telephone in Canada on 29 August; the first telephone lease in Canada, signed on 18 October, connected Baker’s home to those of two colleagues. The following month he installed a pair of telephones in Ottawa, linking the office of Prime Minister Alexander Mackenzie* with Rideau Hall, the governor general’s residence. For the next two years Bell’s father promoted the business in Canada and solicited agents for other provinces. In practice, developing the business in Canada proved “very up-hill work” for Melville Bell. After Dominion Telegraph had rejected his offer to sell his stake for $100,000 in the fall of 1879, it was acquired by the National Bell Telephone Company, the product of a merger that spring of Bell Telephone of Boston and the New England Telephone Company. In 1880 National Bell would hire Charles Fleetford Sise* to incorporate and run the Bell Telephone Company of Canada. Bell’s parents sold their Brantford home in April 1881 – its name was later changed to Tutela Heights – and moved to Georgetown (Washington) to be closer to Aleck, Mabel, and their first daughter, Elsie May, who had begun wintering in Washington in 1879 and took up permanent residence there in 1882. 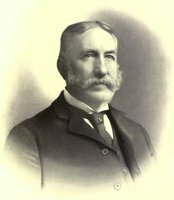 Although Bell’s research in communications ended in 1880, he faced a legal struggle for the next 12 years as National Bell successfully defended more than 600 patent cases, producing a nine-foot-high stack of testimony. During the six years that he spent in this field he had unleashed his boundless energy and curiosity on a range of other pursuits, driven by a quest for discovery. His audiometer, devised in 1879 to measure hearing ability, led to his name being adopted for a unit of measuring sound and electric signals – the decibel. His last invention in telecommunications came early in 1880, while he was working with Charles Sumner Tainter, an optical-instrument maker. To power a telephone circuit, they had developed a battery cell from selenium, a light-sensitive chemical. A beam of sunlight was reflected onto the cell from a voice-vibrated mirror; the vibrations varyed the beam’s intensity and the cell’s resistance and made its current undulating. The current was then transformed into audible sound through a receiver. “I have heard a ray of the sun,” Bell wrote his father on 26 February. His photophone accomplished a wireless transmission 16 years ahead of Guglielmo Marconi’s radio transmission and presaged modern fibre optics. Bell would explain the restless motivations he experienced in arriving at such inventions in a speech to a patent congress in Washington in 1891: “The inventor is a man who looks around upon the world and is not contented with things as they are. He wants to improve whatever he sees, he wants to benefit the world; he is haunted by an idea. The spirit of invention possesses him, seeking materialization.” Bell’s vast papers and notebooks have allowed biographers to isolate other factors: his pride, a reliance on analogy, constructive doubt, steely self-confidence, tenacity of application, meticulous records, and the satisfaction of fulfilled ambition. The riches from the telephone, which were ably tended by Mabel, allowed Bell to let his inventive genius run free. Their homes in Washington were elegant and costly affairs. Bell used the 50,000 francs that came with the Volta prize, awarded to him by the French government in 1880, for the phone, to finance a laboratory in Washington to promote research and invention to benefit the deaf. After the death of a newborn son the following year from respiratory failure – the Bells’ second son would die at birth in 1883 – he focused on medical research. He developed a vacuum jacket (a precursor to the iron lung) and made headlines when he invented a metal detector (a forerunner to ultrasound), which used sound waves to detect a bullet in a body, in a bid to save President James Abram Garfield. Later he married this instrument to a needle probe connected to a telephone receiver, which sounded when the needle touched a bullet. Though he let an outside firm commercialize this telephonic probe, it won him a rare honorary doctorate of medicine in 1886 from Germany’s prestigious Rupert Charles University of Heidelberg – one of the many degrees and prizes eventually bestowed on him. Bell wished he had been more aggressive in pursuing phonographic devices. One, the graphophone, developed with his cousin Chichester A. Bell and Sumner Tainter at the Volta Laboratory in 1882, had a floating stylus that recorded on, and played from, a reusable wax cylinder. Thomas Alva Edison had beaten him to market with a practical phonograph years earlier, causing Bell to regret that he had “let this invention slip through my fingers,” but his patents from his phonographic inventions were still his most lucrative after the telephone. He was no accumulator of wealth. When he sold his share of stock in the graphophone holding company, for $100,000, he turned it over to his father as a trust fund for deaf research. His funding also helped keep Science (New York) afloat until it became the official journal of the Washington-based American Association for the Advancement of Science in 1900. Although Bell had become a naturalized American citizen in 1882, his ties to Canada were strengthened in the summer of 1885 when he and Mabel visited Baddeck, on the Bras d’Or lakes of Cape Breton Island, N.S. They were drawn by the book on Baddeck by travel writer Charles Dudley Warner and perhaps by the temperate climate – Bell hated hot summer weather. The area and its people reminded him of Scotland. The following summer they rented a cottage, which they later bought, and began buying up land on Red Head, a large point on Baddeck Bay. For the next 36 years, until he died, Bell would divide his time between Washington and Nova Scotia. In November 1893 he completed a 13-bedroom mansion on Red Head which he named Beinn Bhreagh (pronounced Ben Vreeah), Gaelic for beautiful mountain. It was designed by a Boston firm and constructed by the company of Nelson Admiral Rhodes*; the Halifax Morning Chronicle termed it the “Bell Palace.” His time there increased his fondness for the northern dominion. “Though I cannot claim to be a Canadian . . . ,” he later stated, “I have a warm spot in my heart for Canada.” Beinn Bhreagh, as well as Washington, became a centre for Bell’s scientific studies, which turned time and again to deafness. Bell met his most famous deaf student in 1887. Helen Keller, whose blindness made her solitude complete, was six years old when her father brought her to Bell in Washington. She loved him at once: “I did not dream that that interview would be the door through which I should pass from darkness into light.” Bell maintained his relationship with the Kellers for over 30 years. In addition to teaching Helen, he established a trust fund for her education at Radcliffe College and often welcomed her at Beinn Bhreagh. Her main teacher, Anne Mansfield Sullivan, was struck by Bell’s courtesy and ability to put people at ease. “He answered every question in the cool, clear light of reason.” Bell also made a strong impression when he gave evidence in England in 1888 to the royal commission on the blind and the deaf and dumb. He fully confronted the rival theories and claims of Edward Miner Gallaudet and fielded more than 600 questions; the printed evidence is regarded as the most comprehensive statement of Bell’s philosophy and aims regarding the education of the deaf. Bell and Gallaudet held equally fervent, but irreconcilable, views on the value of their preferred techniques – oralism and manualism respectively. Each held that his preference came naturally to the deaf. Gallaudet, like his father Thomas Hopkins, maintained that gesturing was the ultimate form of human communication, a gift from God that could remedy deafness. He told the British commission that the deaf were taught best by deaf teachers using sign language. Bell, like his father and grandfather, felt speech was what defined being human. He had told Edward Gallaudet in a letter, which he shared with the commission, that, no matter how imperfectly uttered, speech was critically important to a deaf person. He rejected the idea of deaf teachers because, he believed, they could not teach articulation and would thus perpetuate deafness. Less well known was Bell’s pioneering work with a novel form of medical photography, the X-ray. One of his daydreams was “seeing with electricity.” Just four months after the discovery of X-rays by Wilhelm Conrad Röntgen in November 1895, Bell bought a Crookes’ tube and produced his own X-ray apparatus at Beinn Bhreagh. His earliest radiograph, of coins inside a purse, was taken with the assistance of William H. D. Ellis on 10 June 1896, four months after the first diagnostic radiograph was made in Canada, at McGill University. Bell took a number of clinical X-rays over the next several years; he envisaged stereoscopic radiographs to produce three-dimensional X-rays of the skeleton, presaging the modern CAT scan, and wondered whether X-rays could produce sounds in a telephone. Bell is believed to be the first to suggest the use of a radioactive substance in vivo to treat deep-seated cancerous masses. In a letter to his physician, published in Science in July 1903, he described an apparatus to seal a small radium source inside a glass tube. Bell tasted failure more often with flight than with any other pursuit. On 23 Sept. 1877, while walking along a beach in Scotland, Bell, inspired by a seagull in flight, had drawn a flying machine, complete with ailerons. This sketch bears a striking similarity to drawings made by the Renaissance artist and inventor Leonardo da Vinci. (Scholars who have examined Bell’s notebooks are often struck by the parallel between these two great generalists.) Bell began to build on his sketch in 1891 when he financed the experiments of Samuel Pierpont Langley, an American physicist and secretary of the Smithsonian. Langley became a close friend and, in 1898, was instrumental in obtaining Bell’s congressional appointment as a regent of his institution, an honorific post Bell held until his death. Bell’s vision of flight was as sweeping as his grand concept of the telephone. He predicted in 1907 that it would not be long until “a man can take dinner in New York and breakfast the next morning in Liverpool.” He foresaw too the strategic importance of military air power and wrote, in a magazine in 1908, “The nation that secures control of the air will ultimately rule the world.” Over a 31-year period that began with his sponsorship of Langley’s work, Bell and his associates would conduct more than 1,200 flight-related experiments, most of them at Baddeck. His initial dream was to prove simply that tetrahedral designs, which he patented in 1903, could be used to make light but strong structures for flying machines. He conducted hundreds of repetitive experiments on the sloping meadow of Red Head that he named the kite field. To the residents of Baddeck who watched, they had a fanciful air. A boatman who observed one flight stopped short, in an account cited by John Hamilton Parkin, of describing Bell as a lunatic: “He goes up there on the side of the hill on sunny afternoons and with a lot of thing-ma-jigs fools away the whole blessed day, flying kites, mind you. He sets up a blackboard and puts down figures about these kites and queer machines he keeps bobbing around in the sky. Dozens of them he has. . . . It’s the greatest foolishness I ever did see.” The kites had equally fanciful names, like the Codger and the Frost King. The latter, made of 1,300 red-silk cells, lifted an assistant 30 feet in the air on 28 Dec. 1905. Bell’s tetrahedral experiments also spawned a cottage industry in Cape Breton as hundreds of farm homes helped make cell frames of spruce, bamboo, and metal. The immense size of the kites soon dwarfed the design expertise of Bell and his staff at Beinn Bhreagh, so in the summer of 1906 Bell and Mabel set out to recruit some young talent. They first approached John Alexander Douglas McCurdy*, a fearless native of Baddeck and son of Arthur Williams McCurdy, Bell’s chief assistant at Beinn Bhreagh. Best of all, he was studying engineering at the University of Toronto. He agreed to be hired, and put the Bells on to a friend and recent engineering graduate, the athletic Frederick Walker (Casey) Baldwin*. Baldwin’s first task was to erect a huge tower to prove that tetrahedrals could also be used in building construction. The following year Bell drew in two other men whose expertise was crucial in moving the group toward powered flight. Glenn Hammond Curtiss, whom Bell met at an air-club show, came to Beinn Bhreagh as the group’s expert on engines. Thomas Etholen Selfridge, a 25-year-old lieutenant in the United States army and the military’s authority on aviation, contacted Bell to find out more about his experiments. Bell asked President Theodore Roosevelt if he could borrow Selfridge, who arrived at Beinn Bhreagh in September. One of their first projects was the Ugly Duckling, a catamaran-style boat designed to test aerial propellers. It spawned 13 years of research with powered watercraft, or hydrodromes, as Bell termed them. Mabel Bell is credited with proposing that the five men create a formal organization, the Aerial Experiment Association, to finance their work and share in any patent profits. With Bell assuming the roles of coordinator and promoter, in addition to his work as an airplane designer and inventor, and Mabel providing the initial capitalization, the AEA was formed in Halifax on 1 Oct. 1907. Its simple goal, Selfridge stated, was “to get into the air.” But the group had been preceded some years before by the Wright brothers: in a secret flight in December 1903 Orville Wright had ascended in a powered craft at Kill Devil Hills, N.C. The AEA would first go aloft with a kite. Their task was to complete the Cygnet, a behemoth made of more than 3,300 red-silk tetrahedral cells on pontoons and Bell’s largest kite ever. Selfridge rose 104 feet over Great Bras d’Or Lake on 6 Dec. 1907 but he had to be rescued from the freezing water when the tow rope failed to be cut after the delicate craft landed (it was torn to pieces). Bell then agreed to expand their experimentation to include biplane designs. The group moved to Hammondsport, N.Y., for the winter and took with them a silk glider named the Red Wing, in which they later installed a Curtiss engine. Baldwin believed he was the first British subject to pilot a heavier-than-air craft when he took it up on 12 March 1908. It crashed on the 17th. Three days later, in a letter to Baldwin, Bell came up with the idea of “moveable wing tips,” to achieve what the Wrights had pioneered with wing warping, and he suggested they be controlled by cross wires worked by the pilot. He patented the device, calling it the aileron. (Baldwin’s family later maintained that Casey had come up with the idea.) The White Wing, the AEA’s next aerodrome, as Bell preferred to call them, was flown by Baldwin on 18 May. In addition to ailerons, it had a three-wheel undercarriage to aid take-off and landing. It too crashed. The AEA entered its third craft, the June Bug, in a competition on 4 July sponsored by Scientific American for the first public flight over a kilometre-long course. The craft won and it flew 150 more times without crashing. The Silver Dart entered the Canadian record books as the first powered, heavier-than-air machine to fly in Canada. McCurdy was its chief designer. After tests in Hammondsport the frail-looking craft was taken to the ice of Baddeck Bay. McCurdy’s flight of 23 Feb. 1909 – half a mile at 45 miles per hour – was the first by a British subject in the empire. Several longer flights followed. On 27 March Bell spoke to the Canadian Club in Ottawa about his group’s successes in aviation. In response, and flushed with imperial pride, Governor General Lord Grey*, who would visit Beinn Bhreagh in December, praised their efforts and finance minister William Stevens Fielding held out the prospect of government support. The AEA was dissolved at the end of March but, buoyed by its feats, Bell, Baldwin, and McCurdy soon founded the Canadian Aerodrome Company at Baddeck to make airplanes for the military. Although the government of Prime Minister Sir Wilfrid Laurier* refused to provide funding, the Canadian army supported test flights at Petawawa, Ont., where the Silver Dart was damaged beyond repair in August 1909. The dogged efforts of the group over the next five years to interest the military in Canadian-built aircraft were, states Parkin, frustrated by “pettiness, ignorance, and futility in high places.” In December 1914 the minister of militia and defence, Major-General Samuel Hughes, rejected any funding or plans for aviation, despite the outbreak of World War I. Bell and Baldwin got out of the sky. By 1912 they were focusing their efforts on the development of full-sized hydrofoils that would travel over the water. Their first craft, HD-1, attained a speed of 45 miles per hour in July 1912. Bell’s last major achievement was HD-4, which, with support from the Canadian and American navies, set a world marine speed record on 9 Sept. 1919 of 70.86 miles per hour, which would stand for ten years. By 1919 Bell was suffering from advanced diabetes, a dangerous condition that perhaps influenced his decision not to fly or ride in hydrofoils. Two photographs of the HD-4’s speed trial suggest how he may have felt: the first shows him standing on a wharf at Beinn Bhreagh looking out while the craft roars across the bay with Mabel at the helm; the second, taken moments after her return, captures their fond embrace. To the end Bell remained a gentle, loving humanist. Long an advocate of women’s rights, by 1910 he had brought Mabel round to his way of thinking; on his 66th birthday they both cheered a suffrage parade in Washington. He loved music, abhorred racial intolerance, and during the Great War forced himself on occasion to shelve his disdain for conflict in order to support the war effort. Following the Halifax explosion of 6 Dec. 1917 the Bells sent blankets and clothing. When they were in residence at Beinn Bhreagh, from spring to fall, they were active members of Baddeck society. The Bells loved America but they rejoiced too in Beinn Bhreagh – it seemed always to vibrate with family and guests – and they came to know Cape Breton intimately. He would have appreciated the tribute from the Bell system, which briefly silenced every telephone in North America during his funeral. This was a man, after all, who relished silence and despised the intrusion of his infernal invention, once ripping a phone off his own wall. Yet few have done as much to conquer silence, distance, and physical obstacles to travel. Arguably no single person may do so again. With him died the era of the lone inventor, the work of Bell, Edison, Eastman, the Wrights, and Ford being taken up by vast corporate enterprises. As to the legacy for which the world chiefly remembers him, the telephone, Bell would no doubt recognize a lingering paradox. While modern society’s dependence on the telephone has grown so great that entire economies can be reduced by a failure of digital networks, nine-tenths of the world’s population remains without a telephone. Although pundits predict the true death of distance and the transformation of the human race into one gossiping family, the realization of Bell’s grand system is still a long way off. [The bulk of Bell’s personal papers are preserved in the Library of Congress, Manuscript Div., Washington, in the immense Alexander Graham Bell family papers (0330M). The collection contains 147,000 items, including Bell’s voluminous correspondence, books and papers, laboratory notebooks recording his daily work from 1865 to 1922, journals and diaries, legal transcripts, clippings, and photographs. A selection of some 4,700 items has been made available online as part of the Library of Congress’s “American Memory: hist. colls. for the National Digital Library” program and can be consulted at the American Memory web site (http://memory.loc.gov/ammem/bellhtml). The Manuscript Div. also holds the Grosvenor family papers (0622D), which include 180 volumes of letters and biographical material collected by Bell’s son-in-law Gilbert H. Grosvenor, and the Hubbard family papers (0183D). An extensive collection of Bell’s professional and private photographs is available in the Gilbert H. Grosvenor coll. in the Library of Congress’s Prints and Photographs Div. Significant manuscript materials related to Bell’s work with the deaf are found at the Volta Bureau Library of the Alexander Graham Bell Assoc. for the Deaf and Hard of Hearing in Washington. The Bell Museum at the Alexander Graham Bell Hist. Site in Baddeck, N.S., houses the pre-eminent collection of Bell papers and records in Canada. Its holdings include a full set of the journals known as the “Home Notes” (135v.) and Bell’s mimeographed newsletters, the “A.E.A. Bull.” (41v., 1907–9) and the “Beinn Bhreagh Recorder” (25v., 1909–23). Several volumes of the “Recorder” are also available on microfilm at NA, MG 30, B78. A comprehensive index to Bell’s papers has been compiled by the Alexander Graham Bell Institute at the University College of Cape Breton, Sydney, N.S. 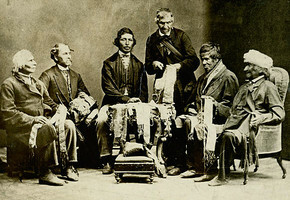 The Bell Institute has also developed an online version of portions of the Bell family collection, which can be viewed at its web site (http://bell.uccb.ns.ca). Useful collections at the NA include the George Brown papers (MG 24, B40, 10: 2398, 2416), for Brown’s letters to his wife concerning the telephone patent rights, and the Charles Fleetford Sise papers (MG 30, D187), for a copy of the first telephone lease in Canada. A number of photographs are available in the Notman Photographic Arch. at the McCord Museum of Canadian Hist., Montreal. A key work in Bell’s early career is the book published by his father on Visible speech: the science . . . of universal alphabetics . . . (London, 1867). Bell published a brief autobiography under the title “Prehistoric telephone days” in the National Geographic Magazine (Washington), 41 (January–June 1922): 223–41. His final deposition of 1892 in the telephone patent litigation is available as The Bell telephone: deposition of Alexander Graham Bell in the suit brought by the United States to annul the Bell patents (Boston, 1908; repr. New York, 1974). A full account of the photophone appears in Bell’s paper “On the production and reproduction of sound by light,” American Journal of Science (New Haven, Conn.), 3rd ser., 20 (July–December 1880): 305–24. He suggested using radium implants to treat cancer in “Radium and cancer,” Science (New York), new ser., 18 (July–December 1903): 155–56. A complete bibliography of Bell’s published writings and addresses, as well as a list of his patents, is provided in H. S. Osborne, “Biographical memoir of Alexander Graham Bell, 1847–1922,” National Academy of Sciences, Biog. memoirs (Washington), 23 (1943), 1st memoir, 1–29. Lawrence Surtees, “BELL, ALEXANDER GRAHAM,” in Dictionary of Canadian Biography, vol. 15, University of Toronto/Université Laval, 2003–, accessed April 24, 2019, http://www.biographi.ca/en/bio/bell_alexander_graham_15E.html.